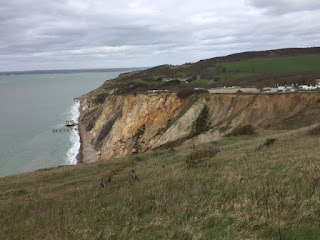 The Isle of Wight has been calling me for years, metaphorically speaking. I remember at primary school there were always kids coming back from holidays wielding little glass objects in the shape of boots or swans filled with amazing coloured sand that they'd got from the IoW. Although, now I come to think of it, I never owned a glass swan filled with coloured sand, which probably means I didn't have any friends. Anyway. 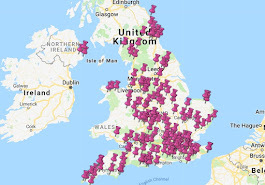 If you look at the map you could be forgiven for thinking that the NT owns the Isle of Wight. They have several properties there and they're all lovely and everything but only one does scones. 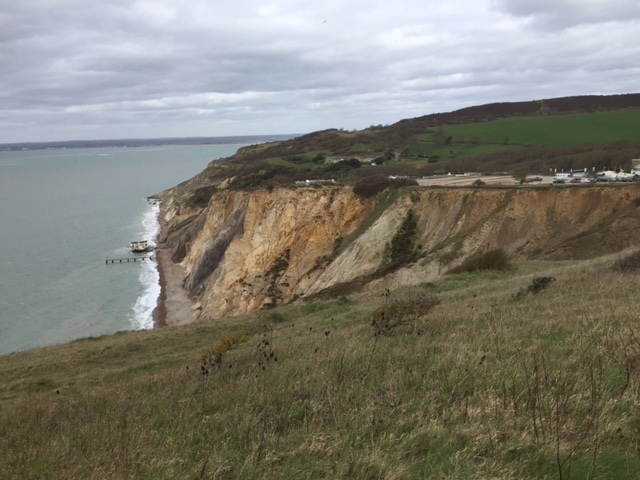 And so we found ourselves at The Needles Old Battery. 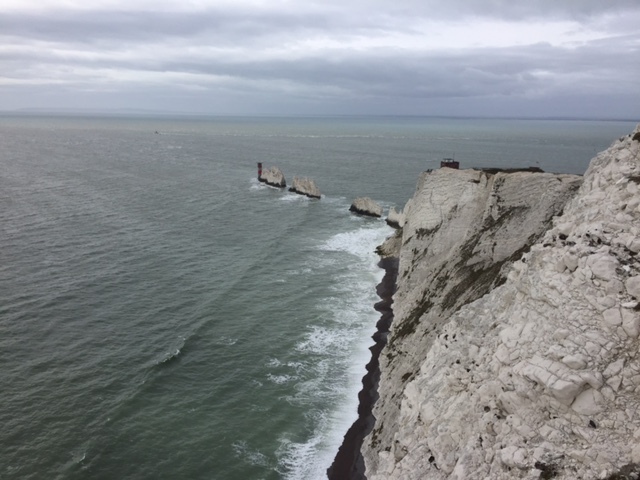 The Needles are a row of three chalk rocks sticking up out of the sea, just off the west coast of the Isle of Wight. The Needles Lighthouse stands at the end of the row. It was built in 1859 and is still working today. There used to be four chalk rocks. One apparently looked like a needle, hence the name. 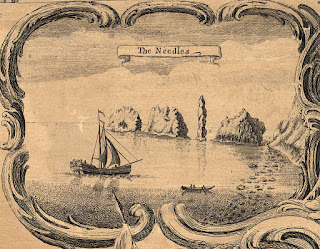 That pillar (known as Lot's Wife) collapsed during a storm in 1764, leaving the non-needle-like Needles. They look more like jaggedy shark fins to me, but I appreciate that jaggedy shark fins doesn't have the same ring to it. 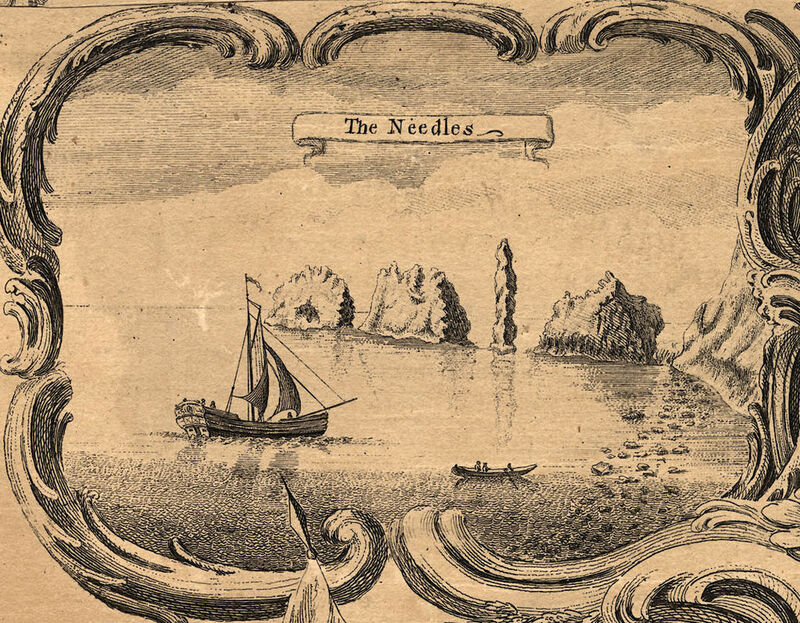 This is apparently how The Needles used to look when the actual Needle-like rock was still there. 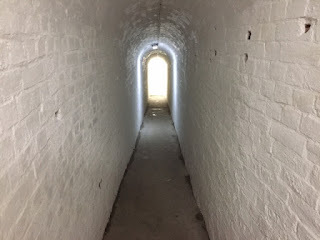 The Old Battery was built in the 1860s. It was part of a chain of forts that was constructed to protect against a French invasion. 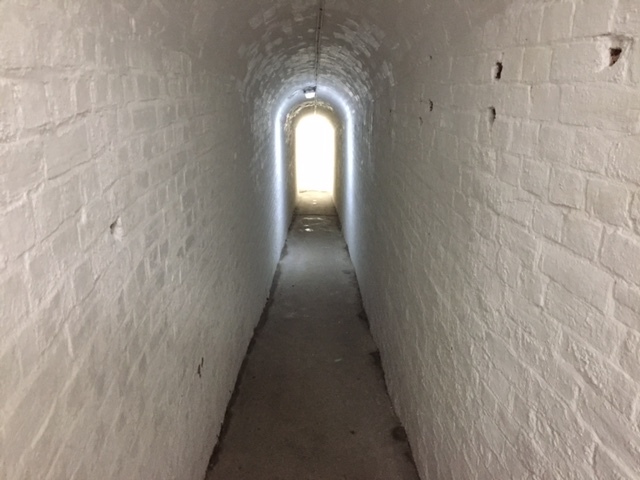 The forts were hugely expensive and France never got round to invading, so they're known as 'Palmerston's follies', after the Prime Minister who ordered them. Not content with an Old Battery that hadn't exactly earned its keep, the British government decided to build the New Battery in the 1890s to house larger guns. The site saw no major action in World War I but anti-aircraft guns were fired from the Battery in World War II. 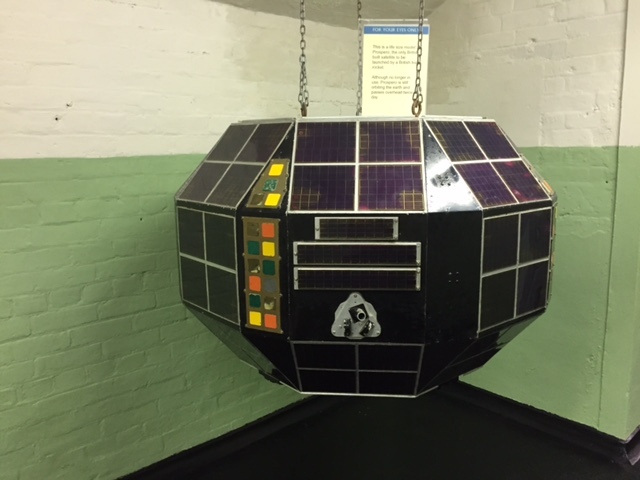 But what is very exciting indeed is that from 1954 to 1972 the New Battery was used as a secret missile test site called Highdown. 60 ft rockets, called Black Knight and Black Arrow, were built up the road in East Cowes and tested at Highdown. They were then taken to Woomera near Adelaide in Australia to be launched into space. I was expecting the New Battery to be like something out of Thunderbirds, and it probably was a bit James Bondian back in the 1950s and 1960s when the control rooms and laboratories were filled with boffins. It's not quite like that today - the British rocket program ended very suddenly in 1971 and the site was dismantled - but the replicas of the rockets and of this satellite called Prospero (the only British satellite ever launched, which still passes overhead twice a day and will do so for another 200+ years) did lend a bit of rocket science excitement. I also got to see my coloured sand, albeit from afar. This is a rubbish picture, but you can just about see the different colours in the cliff. You used to be able to go and shovel up your own sand, but that was stopped because of erosion. 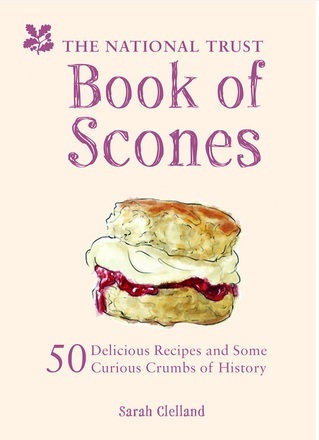 I was a tad worried about this scone mission, to tell you the truth. Our last outing, to Chedworth Roman Villa, had resulted in no scones at all (nice fruit cake though) and the Isle of Wight involves a ferry and a bit of effort. But I need not have worried, scone fans, because The Old Battery delivered the goods. The tearoom is smashing - it's set out in 1940s style with lovely teapots and teacups. It reminded me of the similarly lovely tea room at South Foreland Lighthouse. 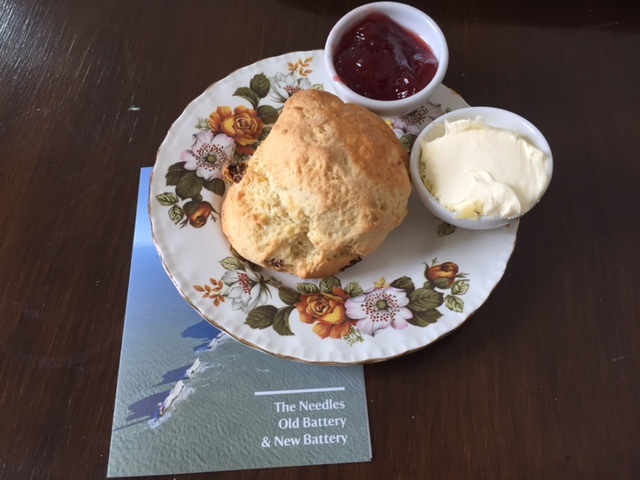 The scone was fresh, light, and tasty with lovely jam and cream. A unanimous five out of five from me and the Scone Sidekick. So there you have it - you can add 'Cold War missile testing site' to the list of things that the NT looks after. I'll have to go to Dolaucothi Gold Mines next to get the full set of quirky places.